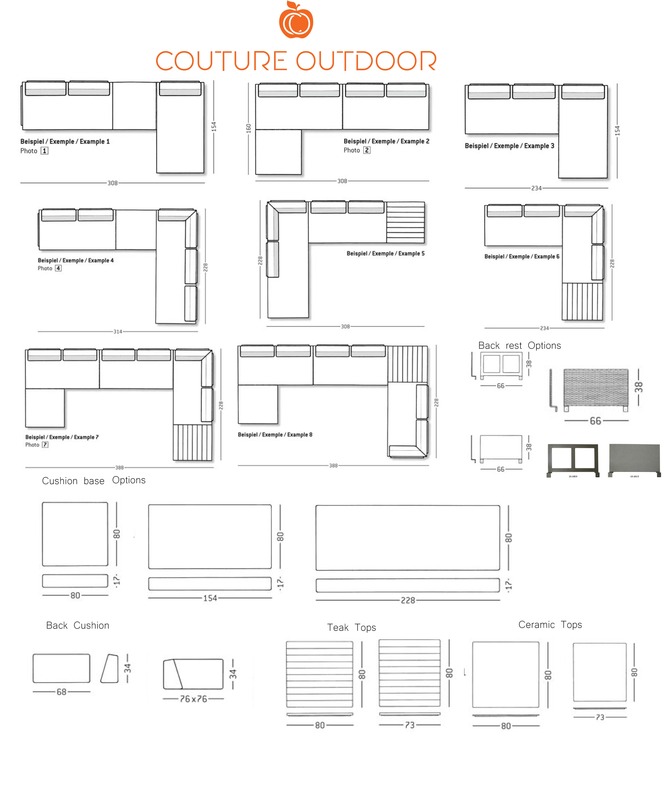 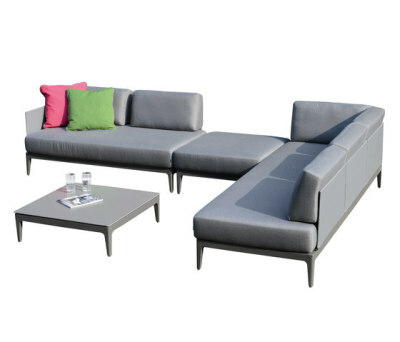 Elements Modular Sofa by Rausch is a modern twist to a classic concept. 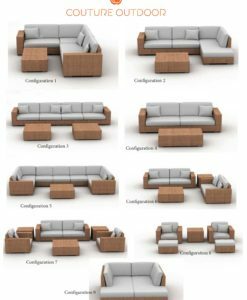 Create MOMENTS – using any combination of the five base elements, charmingly simple and still effective: The modular lounge has many facets. 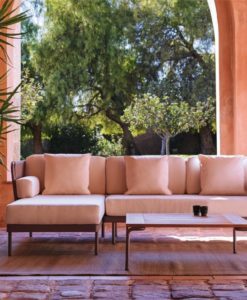 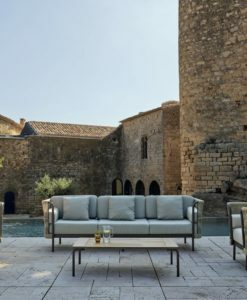 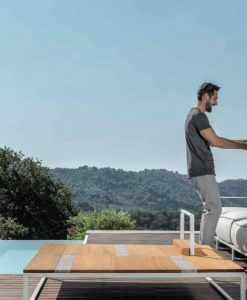 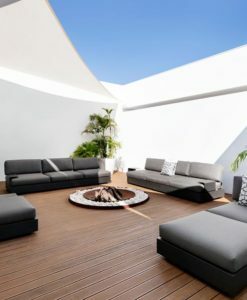 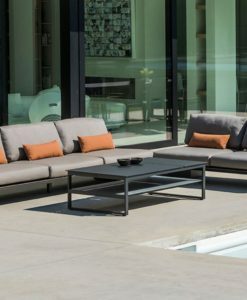 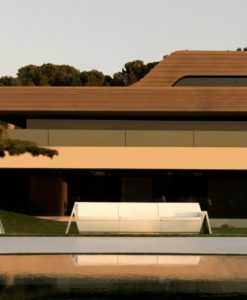 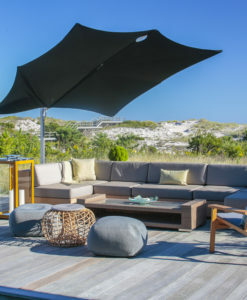 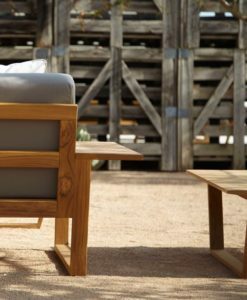 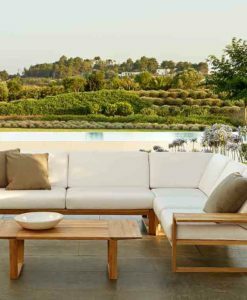 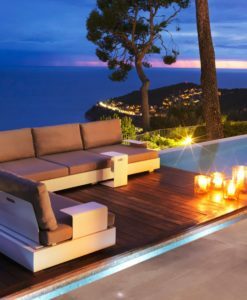 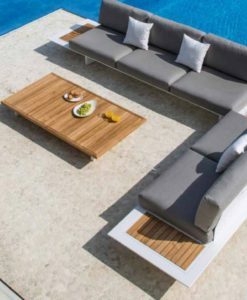 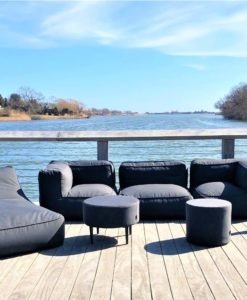 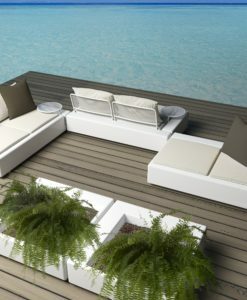 Three bases made of aluminium, slender back and side panels to support the loose cushions and teak or ceramic tops can be varied as desired. 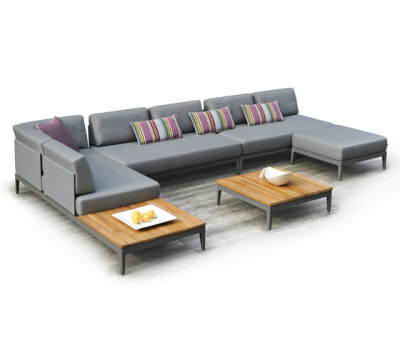 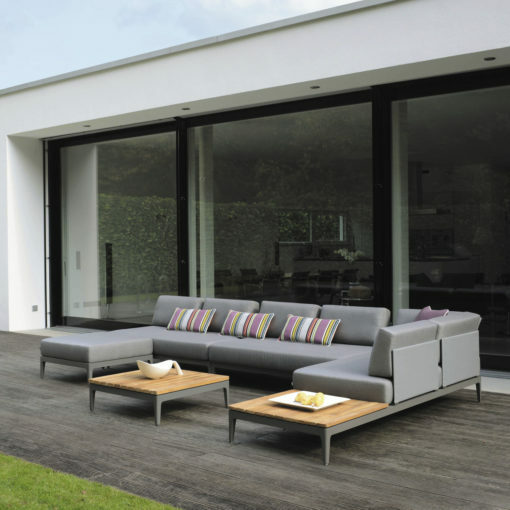 Open base frames and thin backs help even larger seating groups to look airy and elegant. 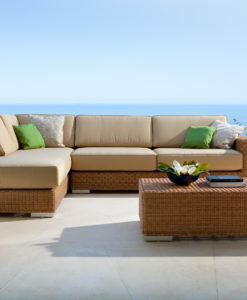 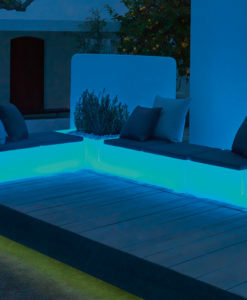 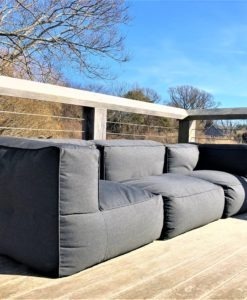 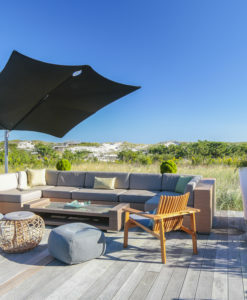 Create your own personal favorite lounge spot with as few as two elements.